MARIN helps oil companies with risk types and sizes. This network is based stallations are usually located. 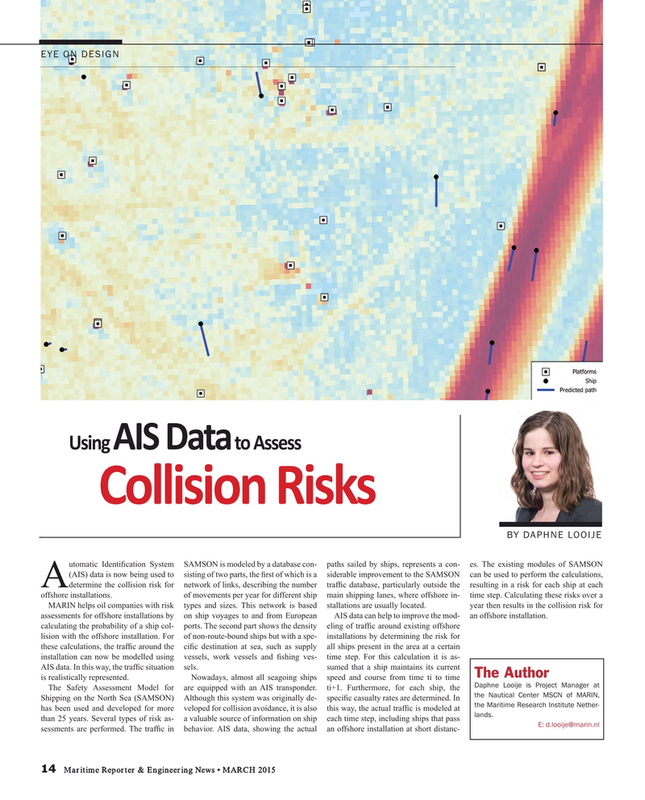 year then results in the collision risk for assessments for offshore installations by on ship voyages to and from European AIS data can help to improve the mod- an offshore installation.